We understand that selecting a contract electronics manufacturer (CEM) that fits well with your outsourcing strategy can be a difficult and long process. But, by taking the time to research and investigate potential shortlisted partners, you are much more likely to reap the benefits further down the line. One area that we believe is key to investigate is the CEM’s supply chain. After all, your assembly partners’ supplier base is crucial in ensuring business risk is minimised during the manufacturing processes. There are many different techniques a CEM can use to audit their supply base, including audit questionnaires and requests for documentation, but what do they really need to know? What information must they glean to ensure security, and minimal risk to their manufacturing facility and ultimately your product? This blog post looks at eight key factors that CEM’s need to know about their suppliers before initiating a partnership. 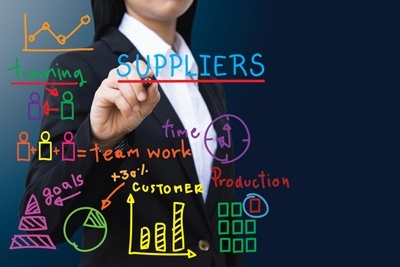 Understanding the size and operational structure of a supplier is key in decision making. Without this information, the CEM will struggle to take comfort in the supplier being able to meet their demand with a sense of urgency and flexibility that mimics the industry. Does the supplier have the capacity to deliver and can they prove that they are able to cope with changes in demand? Capability goes hand in hand with capacity and flexibility. Without suitable capabilities (skill sets, machinery, industry connections, suitable distribution methods etc) key suppliers will struggle to meet the capacity and flexibility needs. Has the supplier managed to convince the CEM that their organisation, people, and the overall process are competent and able? If the CEM is not concerned with the quality controls and processes of their supply base, then it may raise the question, are they concerned with their own quality? The CEM should be able to demonstrate that they have clearly validated the incoming quality received from their suppliers and should have a solid understanding of the quality management systems the supplier has in place to ensure products are fit for purpose before despatch. Understanding the financial viability of a supplier is critical to ensuring that a long term partnership is sustainable. The CEM needs to understand the financial status of each of their suppliers and keep a close eye on these during their time trading. Credit checks and financial reports are a great way to establish suitability before engaging in trade. You will want reassurance that the CEM has negotiated the best possible commercial terms through their suppliers. Although the unit price isn’t the main driver when outsourcing, it can still play a large part when it comes to selecting a partner. Any CEM you decide to partner with needs to ensure the pricing offered and the terms agreed with their supply base is competitive and sustainable throughout the length of their contract to avoid unwelcome price fluctuations coming back your way. A CEM and their supply base should be transparent in regards to their ethical policies. For example, do they pay minimum wage? Is there any concern over child labour issues? Does the CEM understand their supplier’s stance on conflict minerals and the modern slavery act? Affiliating with companies that don’t trade ethically can have negative connotations on your company. Therefore, you and the CEM partner you choose to work with should take action to understand the ethical policies surrounding the wider supply chain. With the introduction of environmental standards such as ISO 14001:2015 ensuring that your CEM understands the environmental standing of their supply base can be critical to ensuring your operation stays true to your own companies’ values and standards. The CEM needs to consider whether the supply base they are working with can meet both theirs and their customers demands. Arguably this encompasses the past seven points into one question. Do the two companies fit well with each other? Will the relationship work with the respective size and cultures of the organisations? Are there any obvious areas of conflict that may affect quality, pricing or trust? Ultimately, CEM’s that have a robust supplier evaluation and performance management process in place help ensure that they have the best possible supply chain for your business. With suppliers playing an integral role in any manufacturing success story, working with an assembly partner that has a formalised system in place to track and evaluate supplier performance is essential to the smooth operation and profitably of your outsourcing project.